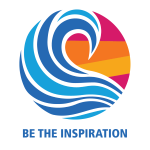 Guests: John Weiss brought Dean Sullivan and Tom Ross; Mary Helen and Kathleen, Rotarians from Palm Desert were with us again; and, Mike Pond introduced Ciara who is with a MB host family now. Sherry Sim, Rotarian from the Cayucos Club, also visited today. This morning at 11am, we met with Teri Bayus to debrief and hear from those who were involved in the Lighted Boat Parade. The event went very well and made money too. We will meet next week at 11am to continue planning the Crab Feed. Jude sent out an email with information on upcoming events. Andrea will be going to Del Mar school to talk about the Four Way Test - they need to be read, checked and back to the District Office by March 1st. June 20th is the Dodger Game trip, we need a coordinator for our Club, so please consider heading this up. The discounted price for the Dodgers vs. Giants game is $75.00. It is a social gather ing for the District so we hope to get a large group. Sherry Sim will take the lead and arrange for a bus to take us there. More about this later. Sherry brought a poster and information about the Cayucos Rotary Masquerade Party on Saturday March 16th. This is always a fun event - definitely worth going to so buy your tickets early as it is always a sellout. Next Ciara came up to collect a donation that had been collected for her. 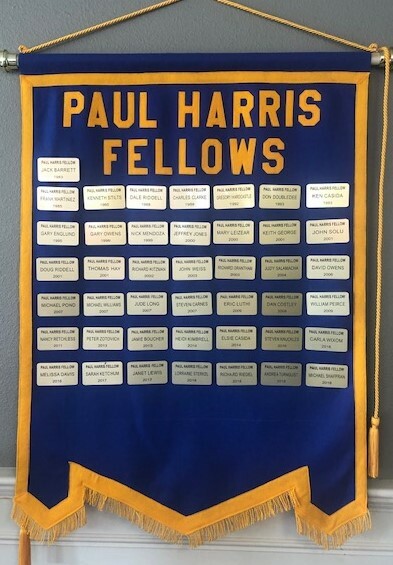 Chuck and Ken C bought a Paul Harris Fellow Banner with gold badges for everyone who is in the Club who have a PH. Nick said he has given a PH to everyone in his family so it was his desire to give one to a person in our Club. He chose to give it to Katherine Gillen, who “hit the road running” when she joined, and has been involved in many things incl uding volunteering to be our President in 2021. 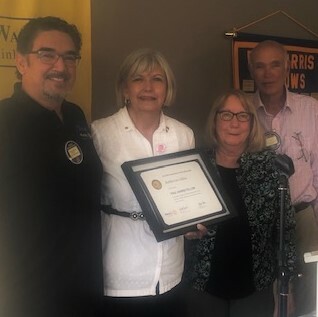 She said she was overwhelmed with the surprise presentation of the Paul Harris Fellow and she will hang it proudly in her office at the Chamber. John Weiss was again in charge of fines and asked members - ”What is your favorite avenue of service?” Ken S., Lorraine, Don D., Kacey, Dan C, Pete Starlings, Nick, and Chuck were fined for various reasons. 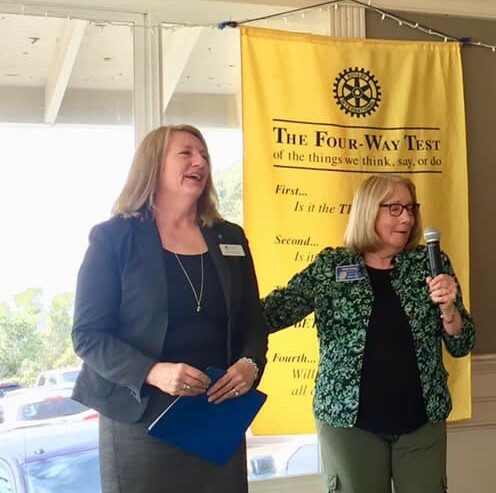 Judy introduced our speaker, Dr. Jill Stearns, the President of Cuesta College. She, her husband and both sons are graduates of Cal Poly. Quite a few of our members attended Cuesta College. They are a “Hispanic Serving Institution”, which is a federal designation. They are 53% female and have a rapidly growing segment online. Eight percent of their students already have a bachelor’s degree and are considered “re-careering”. It is a huge savings to go to Cuesta before transferring to a State or UC as out of high school, your first 2 years are paid for. Cuesta tuition used to be based on attendance, but their new funding is performance based, which has been a big benefit to Cuesta. They are offering classes in Geographic Information Systems (G IS), and culinary courses. They have a “Cougar Pantry” for those who need food which had 18,000 visits last year; accommodating 1100 students in need. 50/50 - $37 won by Mary Helen, our guest from Palm Desert. Next week’s program will be Chris Aho, Development Director, SLO Film Festival.